SHINee's Minho and Infinite's Jang Dong-woo are beginning their mandatory military service on the same day. They will be admitted through the Marine Corps Training Center in Ponhang, Kyeongbuk on the 15th. Jang Dong-woo will be leaving in private. Starting with the admission of their team leaders, Minho and Jang Dong-woo are the third in line to go. Onew and Key from SHINee are currently in service as well as Kim Sung-kyu and Lee Sung-yeol from Infinite. Minho made a post on the SHINee official SNS saying "It was great knowing someone was always next to me and SHINee World thank you for allowing me look back every once in a while and not just look forward. I am going to miss you so much" on the 14th. Minho added, "I will remember your support and complete my duties well. I won't disappoint you and always give off good vibes". Minho can also be seen in the film "The Battle of Jangsari" that's coming out later this year. Jang Dong-woo wished to make his going-away a quiet one so only his close friends and family will be saying goodbye to him. Location and time won't be revealed. Jang Dong-woo also has been communicating with fans in various ways. He released his first solo album "Bye" and he also appeared in the MBC TV show "Fool's Love". Jang Dong-woo said goodbye to his fans on SNS saying, "We've had a lot happen for the past few tears but Inspirit is the reason Infinite and myself were able to come this far. I will do my best in the military using the love you have given me. I love Infinite so much I would do it again in the next life". 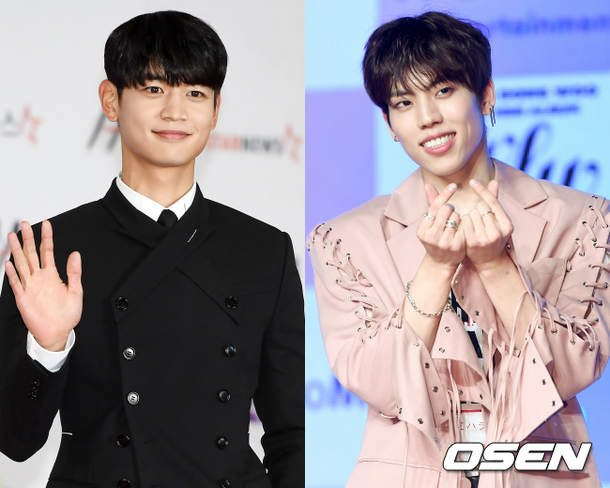 There's a rush of idols such as SHINee Key, VIXX N and Jeong Jinwoon as well as Minho and Jang Dong-woo, all 1990 and 1991 year-borns, leaving to serve their duties this year. "SHINee's Minho Joins Slew of '90 and '91 Celebrities in the Military"